Wood engraving is a type of woodblock printing in which a block of wood with a hard surface, made by slicing a tree into rings, is used for the printing block. This block can be carved with intricate details using a burin. Sometimes referred to as Western woodblock printing, the method was invented by an Englishman named Thomas Bewick in the late 18th century and developed in Europe for book illustrations because wood engraved blocks could be printed along with type on a platen press. The types of wood used in wood engraving, such as boxwood, camellia, pear and maple, are harder, denser and have tighter grains than those used in woodcuts. 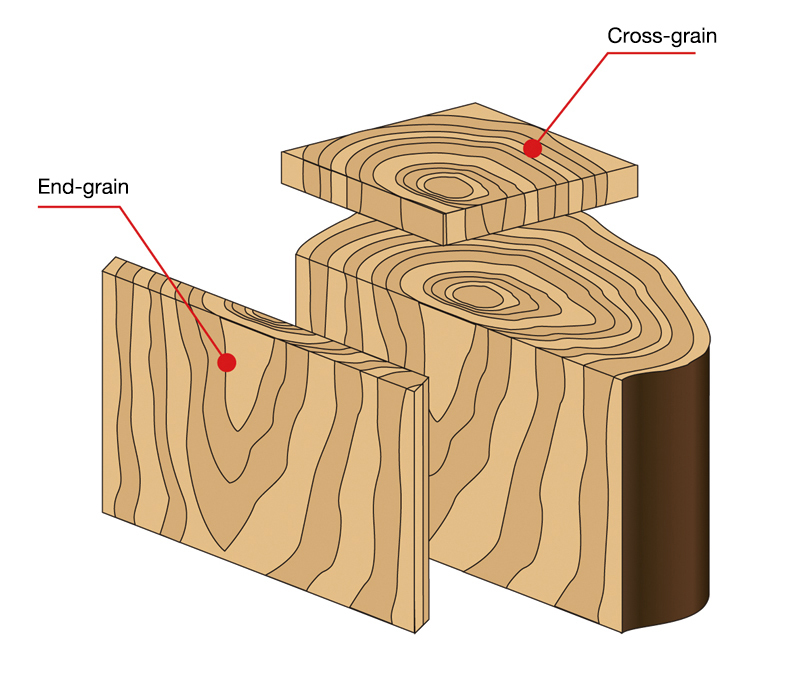 However, because these types of wood are not available in large quantities and it is only possible to obtain blocks that are as wide as the tree they are taken from, printing blocks are sometimes produced by joining together smaller blocks which have been cut into rectangular shapes. With wood engraving, the surface of the woodblock must first be polished before carving. This is done using wet and dry sandpaper starting with, for example, a rough 60-grit paper to remove visible damage and cuts on the surface, gradually moving onto finer sandpaper and finishing with a 1500-grit paper to produce a glossy surface (mirror finish). 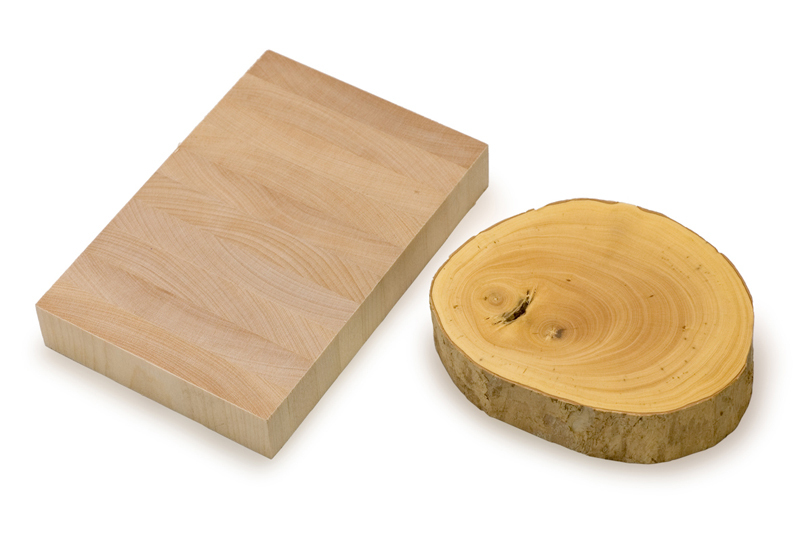 When using a woodblock obtained from an art supply store which has already been polished to some degree, you can start with a medium grade sandpaper of around 240-grit. After you finish polishing the block, sumi ink should be applied on the surface with a piece of cloth so that the lines that are carved are easier to see. A bladed carving tool called a burin with a diagonal tip is used for this. The burin is used by wrapping the palm around the handle and pushing the blade forward. Because the burin can only carve in a straight line, to carve curved lines, the block may need to be rotated on a leather pad called a coussin. Printing is done with a blend of lithography ink and copper plate printing ink. If this ink is too soft, it will get clogged in the carved grooves so it should be prepared to a slightly hard consistency. Use a hand roller to apply an even coat of ink on the block. Then, print this on a thin, durable paper such as ganpishi. The image is transferred by applying pressure with a baren but if this will not allow the fine details to be printed, the curves on a burnisher or a spoon can be used to rub the paper against the block. The printed ganpishi should be dried and then reinforced with a yoshi (machine-made paper) backing (this process is called urauchi). 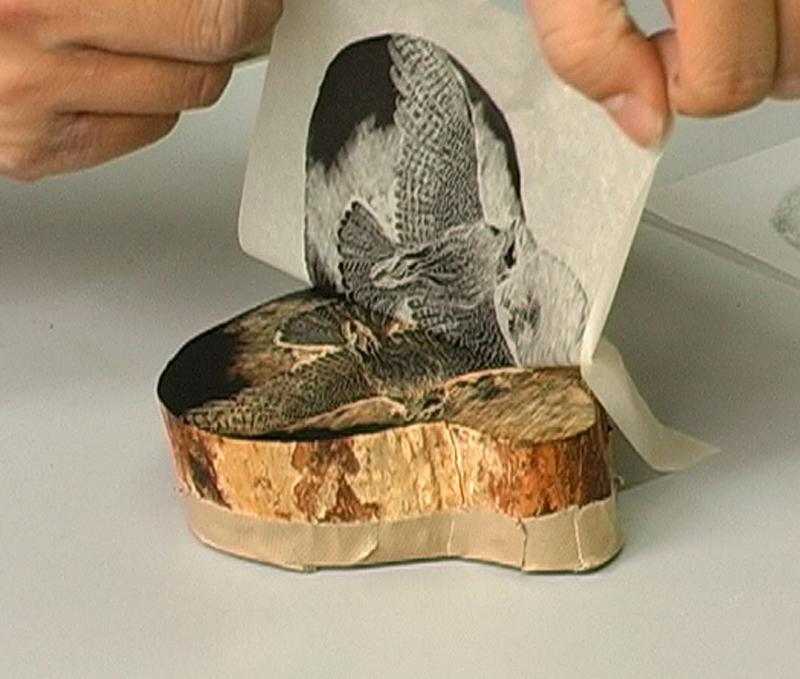 After use, the woodblock should be cleaned with gummed paper tape and plastic eraser etc. to remove any remaining ink and the printing surface should be covered for protection, before storing in a place that is not too humid.